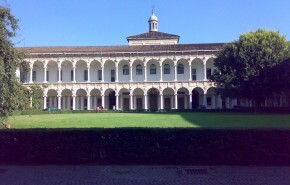 The International Medical School at the University of Milan offers a Medicine and Surgery University Degree that combines academic training and hospital experience as well as laboratory research. The first two years are dedicated to the study of the structure and functions of the body, the biological and biochemical bases of life and the mechanisms of illness. Years 3 and 4 involve a systematic study of the diseases of the human organs and systems (cardiovascular, respiratory, etc). The final two years of the course are dedicated to the consolidation of the clinical skills of patient management and the drafting of the final thesis. • its international profile, with lessons held in English by Italian professors and contributions from European and North American visiting professors. Exchange programmes with foreign universities are also seen as important milestones. This programme is taught exclusively in English and, for the first time in 2011, the entrance exam is conducted through English. This degree is recognised by Irish Medical Council and General Medical Council for registration to practise as a doctor in Ireland and the UK.